One way to enhance the appearance of your backyard is to install a small pond. Such ponds look great by themselves or can work in conjunction with a garden. Ponds provide water for wildlife and can attract a variety of birds and animals that may be absent from your yard at present. Building a small pond is a relatively easy project, one that you can complete in one weekend and have operational a few days later. 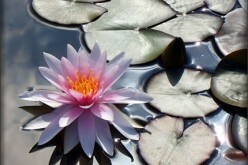 Select the area of you yard for installing your pond. Avoid areas where constant sunlight will increase evaporation and choose a section where the soil is easy to remove with no tree roots in the way. You may find a partially shaded area provides the best place for your pond. You will dig out the area for the location of your pond and install a liner to keep the water from seeping into the ground. A liner may be bought separately, but you may also find that a pond kit containing a moulded plastic liner and a pump is the most cost effective approach to take. Such kits come with a fish-friendly liner, one or two fountain heads, a diverter and telescopic riser, and instructions on how to build the pond. A solar globe light may also be included. Dig out the area for your pond liner, providing enough room to encompass the entire liner. Measure the liner’s length, width and depth, and then remove enough dirt to install the liner. With the liner installed, fill in gaps around the liner with dirt. 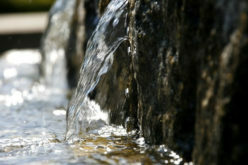 Your pond is ready to receive water and at this point you need to decide whether to use tap water or rain water. Tap water is the easiest and fastest approach, but it may be harmful to wildlife. You can boil water to remove chemicals and then allow it to cool down or simply rely on the next rain storm to fill your pond. Either way, you want to provide water that is suitable for birds, animals and plants, avoiding water from agricultural and yard chemical (fertilizer) run off. Following the instructions for both pump and lighting, install your equipment. Consider digging a shallow trench from your home’s outlet to the garden and place your outdoor wiring inside of it, filling it with dirt to cover it. You can line the sides of your garden with pebbles to hide the liner. You can also place a few large rocks in the pond to provide cover for fish and a resting area for birds. Once your pond has filled with water, wait at least two days before adding in fish. 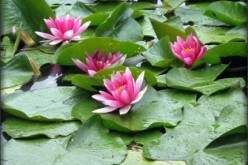 Ensure that the pond does not leak and check that the pump is sufficiently circulating the water. You can also place children’s sand at the bottom of the pond if you wish. Flies will begin to lay their eggs nearly immediately and water beetles will soon follow. Fish should be acclimated to your pond before placement. If your water is free from harmful metals and chlorine, your task is easier. Easier still is fish that have been bought in a floating container. The Pond Guy recommends placing that container in the water to allow it to adjust to the pond’s temperature. 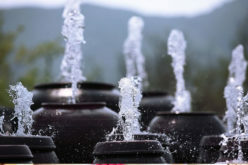 With this method, you will begin a 30-minute transition process of adding pond water to the container, before releasing the fish into the pond. Your pet shop can instruct you on how to feed your fish or whether food should be supplied by you or not. If your pond has goldfish, know that they will eat the plants you have placed in the pond and will go after insects including mosquito larvae. Goldfish are also attracted to deter plant and animal matter found at the bottom of ponds according to BioKids. 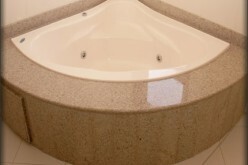 With your small pond installed and ready for use, you will enjoy its addition to your yard. Pull out your birding book and take note of the different species that show up to draw water. Observe how the pond impacts your entire property by giving it a look that is serene and welcoming. 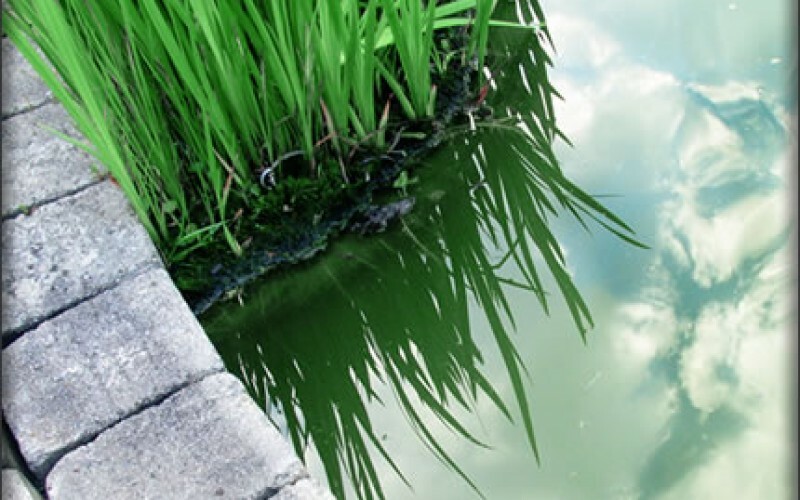 Which Pump is Right for Your Pond? 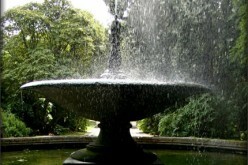 What Maintenance Does An Outdoor Fountain Need To Get Ready For Spring?